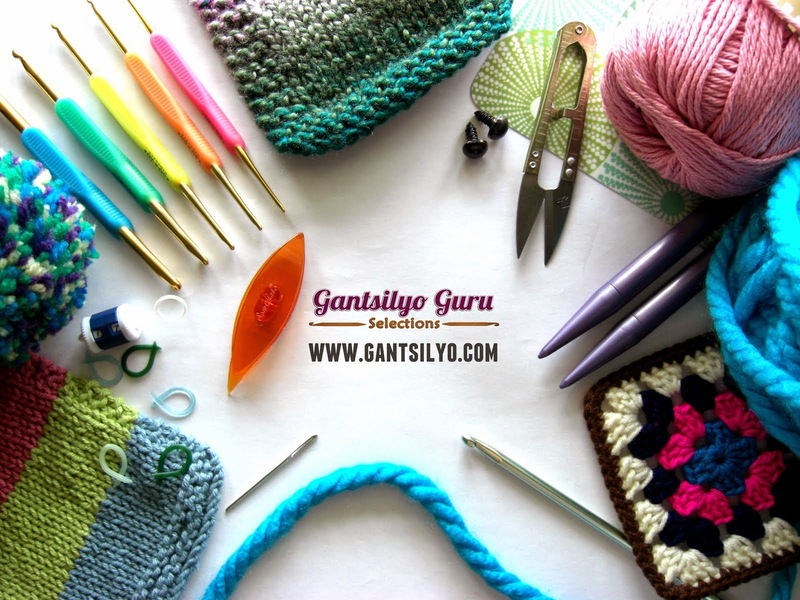 Gantsilyo Guru: Day 1 of Coffee, Cupcakes, and Crochet! 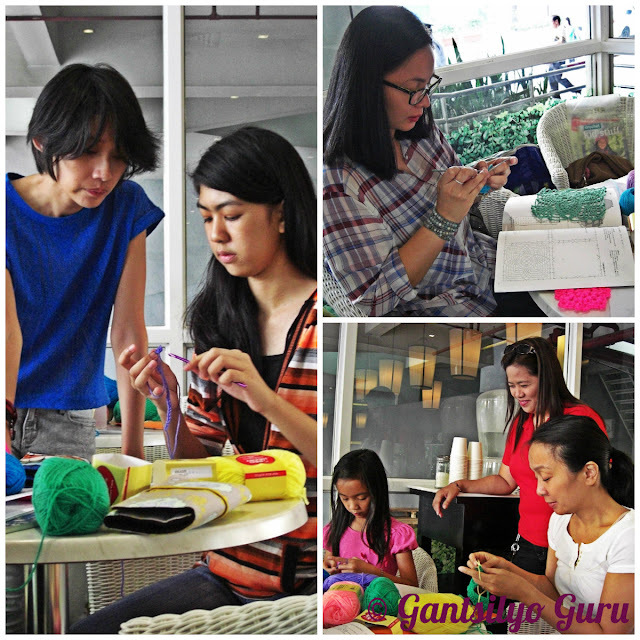 The 1st wave of my 2-part crochet workshop for beginners has started! Literally, all the elements of this workshop are represented in this picture :) Thank you Red Heart® and Cannon® for providing the colorful yarn for the participants! The venue. 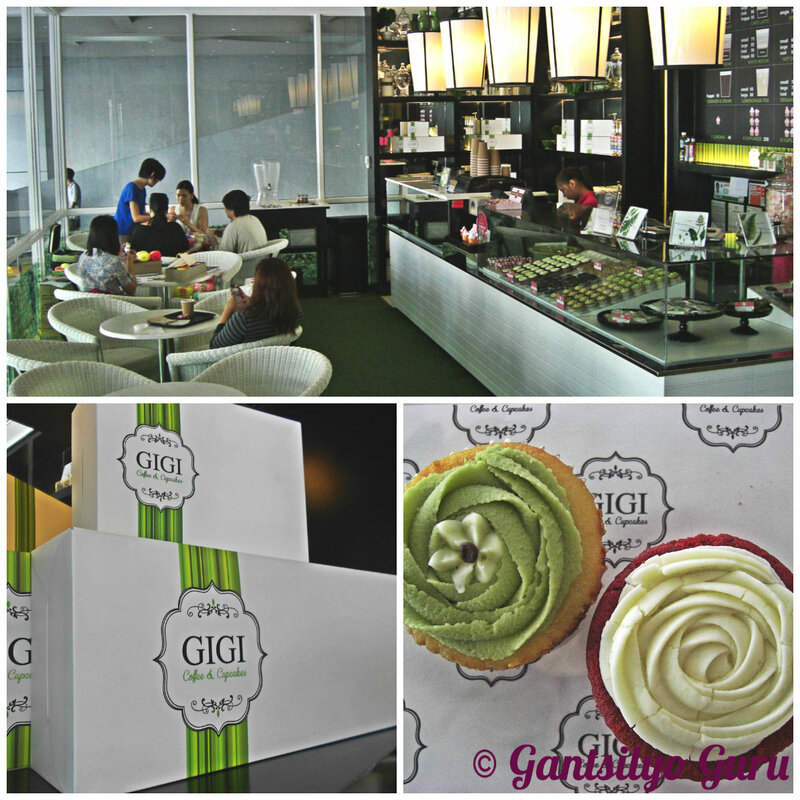 GIGI Coffee & Cupcakes in Eastwood. Yummy cupcakes! 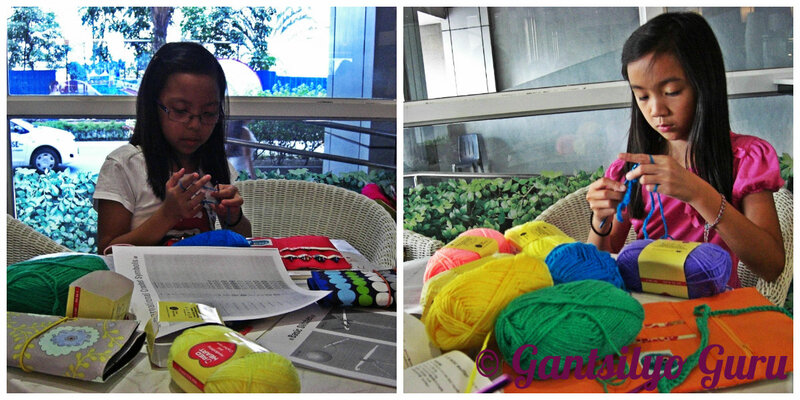 Let the crocheting begin! Waking up early on a Saturday takes a lot of effort, but these ladies did not mind doing it at all. They were ready to take on their hooks! Mars and Levy (shown below) actually know how to crochet already but they wanted to learn more techniques. Baba and Billie remember being taught crochet in high school. They're relearning it again! We had a full afternoon session made up of 6 participants. Cris and Carmen brought their 10-yr. old daughters with them! Meet Alexa and Gabie! Starting this young in crochet is awesome. Amy has never crocheted before but she was able to make her first granny square in this session. Lolo is a participant from a previous workshop but she wanted to learn more techniques. 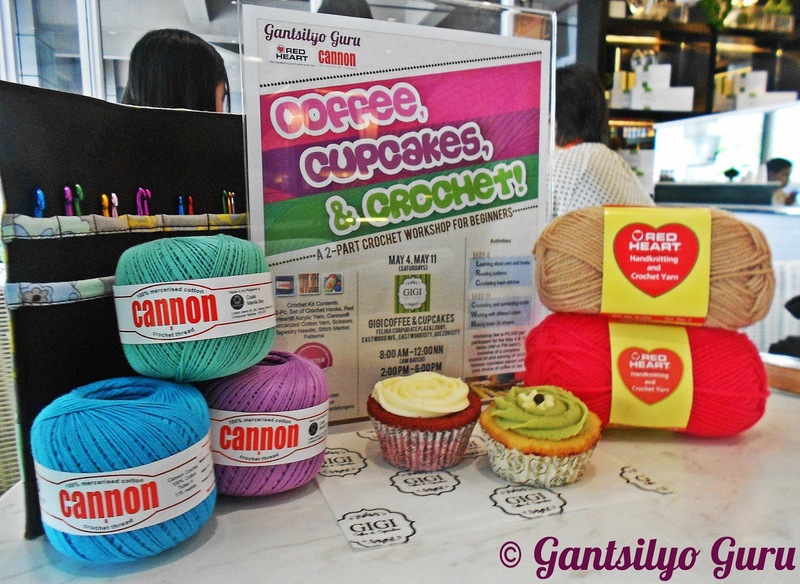 Both the AM and PM batches of participants were given the opportunity to get to know the different kinds of Red Heart® and Cannon® yarn currently available in the local market through a presentation by Jenny of Coats Manila Bay. 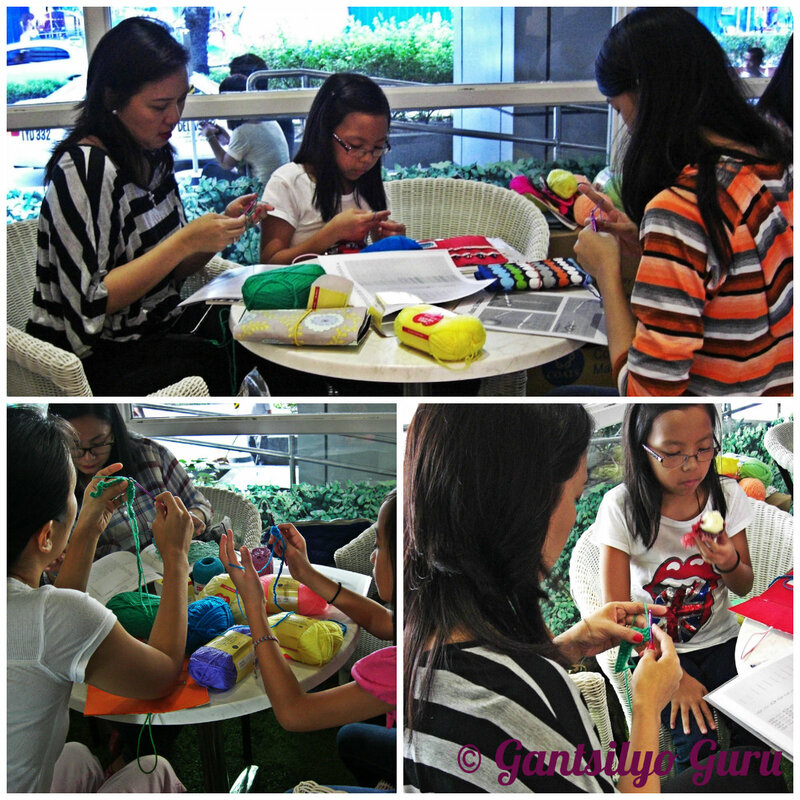 No class pictures yet :) I cannot wait for our next session this coming Saturday when we get to learn more techniques in crocheting! If you were not able to join this 1st wave, I have opened a 2nd wave on May 25 and June 1 (Sat). For details and registration, please go to this link. Only 6 participants are allowed and to-date, we have 4 slots left! If I'm in Pinas I would love to join. 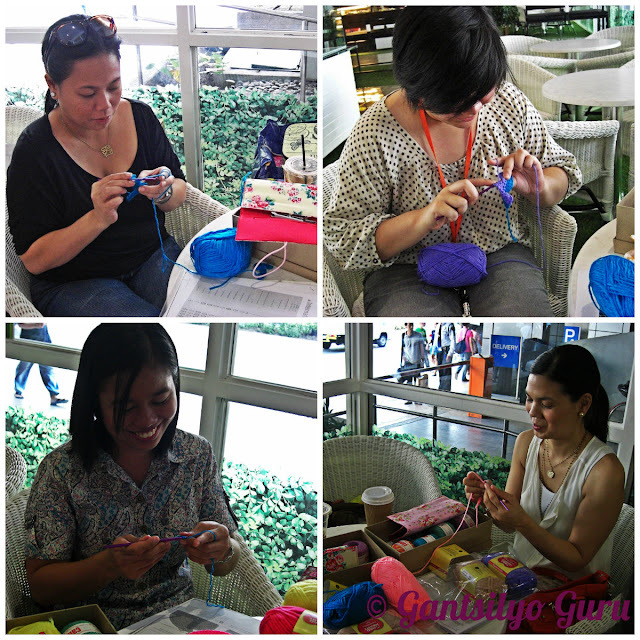 I know how to crochet, I learned how to do it when I was in grade school. I was able to make a business out of it (pero small time lang) when I was in college. 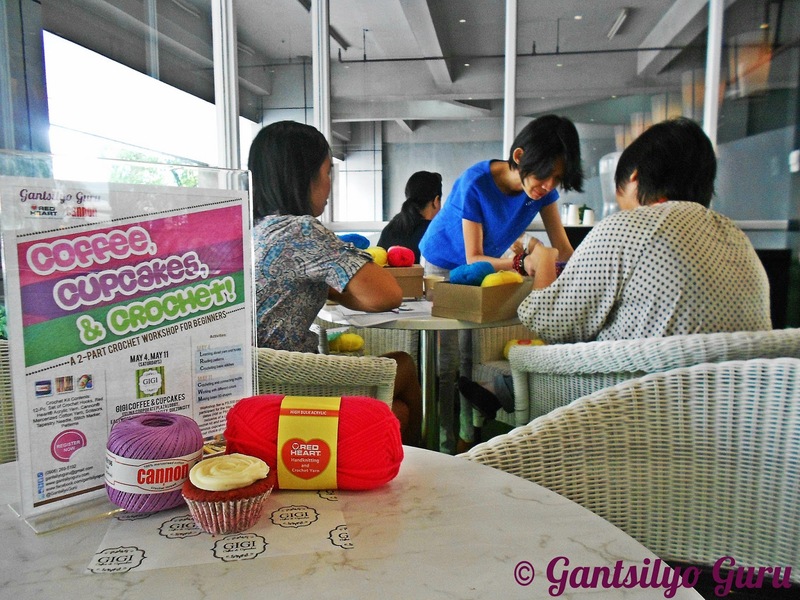 I haven't done any crocheting again since I went here in SG. 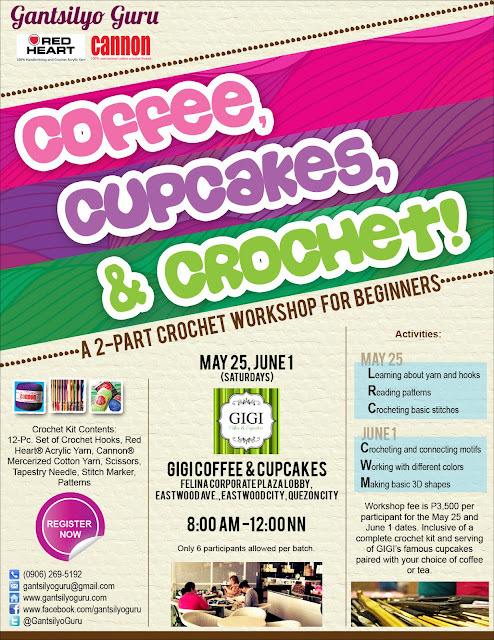 coffee, cupcakes and crochet what awesome combination ... would love to attend a class ... but its a long way from India (ha) ... all the luck with 1st June class. Hello from the US!! I am so happy to see your group going strong! 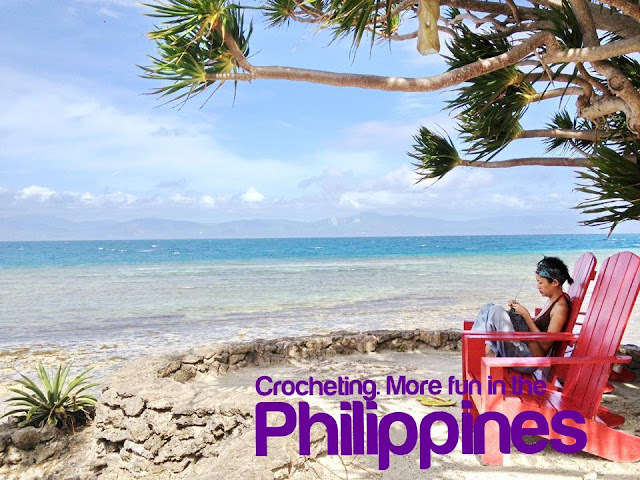 Isn't crochet wonderful? Nice to see you have young ones learning too!